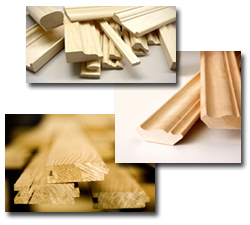 We have over 30 years experience providing superior custom wood milling services throughout southern California. Whether you are a huge multi-national corporation or a small one-man cabinet shop, we serve them all. Why Us? Our business model is centered around the customer. Our philosophy is "do whatever it takes to make the customer happy". We go to great lengths to provide the best possible yields and the highest quality millwork for our customers. Our experience, "customer first" attitude, dedication to quality and highly competitive pricing model is what sets us apart from other mills.